Haven’t found the right supplier yet? Let matching verified suppliers find you. Bone Meal is a fusion of excellently and indelicately crushed animal bones and slaughter-house waste goods. Bone meal is used as an organic fertilizer for plants and as a nutritional supplement for animals. It is primarily used as a source of phosphorus and protein as it is a slow releaser fertilizer. 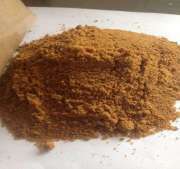 Comparatively finely ground meal provides a very quick release of nutrients rather than the coarser ground form of bone meal. To add phosphorous to garden soil, the organic gardeners every so often uses bone meal fertilizers. It is basically what it says it is. As it is a meal or powder made from crushed animal bones they are normally made up of beef bones, though they can be the bones of any animal slaughtered. Bone meal is steamed to raise its accessibility for plants. It is a material that can be used as a dye as well. Calcium is the most essential nutrient in bone meal, as calcium is mainly significant for women because of its vital role in the prevention of osteoporosis. It is also rich in vitamins A and D when it is not steamed or cooked.